Blogger's Note: The following was provided by the Pottsgrove School District. Two teams of students representing Pottsgrove High School recently won high honors in the year’s WordWright Challenge, a national competition for American high school students requiring close reading and analysis of many different kinds of prose and poetry. Participating with 693 school teams from all across the country, the ninth graders tied for twelfth place in the nation in the year’s second meet, held in December, while the tenth graders tied for thirteenth place in the nation. Seniors: Paul Sachs, Josiah Thieme, and Fox Coniglario. The students were supervised by Mr. Todd Kelly. 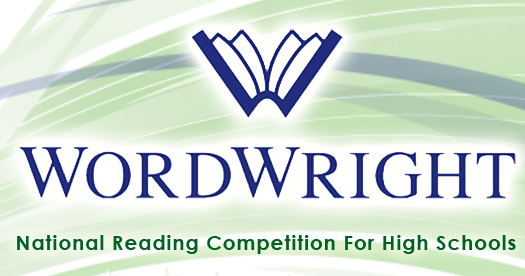 The premise behind WordWright Challenge is that attentive reading and sensitivity to language are among the most important skills students acquire in school. The tests students must analyze for the challenge can range from short fiction by Eudora Welty or John Updike to poetry as old as Shakespeare’s or as recent as Margaret Atwood’s, and to essays as classic as E.B. White’s or as current as James Parker’s cultural commentary in The Atlantic. Though the texts vary widely in voice, tone, and length, they have one thing in common: style. All use language skillfully to convey layers and shades of meaning not always apparent to students on a first or casual reading. Like the questions on the verbal SAT I, the SAT II in English Literature, and the Advanced Placement exams in both English Language and English Literature, the questions posed by the WordWright Challenge ask students both to recognize the emotional and/or rational logic of a piece of writing and to notice the ways in which a writer’s style shapes and shades his meaning. Because the WordWright Challenge is a classroom activity and not a college-entrance exam, however, it can be a learning experience, not just a high hurdle. After completing a challenge, classes are encouraged to talk about the tests and the answers to the multiple-choice questions, and are also given additional topics for open-ended discussion and/or written response. The texts for the second WordWright meet this year were a short story by Doris Lessing for 9th and 10th graders and a Shakespeare sonnet paired with a poem by Anthony Hecht for 11th and 12th graders. The students will participate in two more meets over the coming months, and medals and certificates will be awarded in June to those who achieve and/or improve the most in the course of the year. The students earning a perfect score will be recognized by the Pottsgrove School Board this spring. Molly Neeson this fall and Michael Gillin in December.